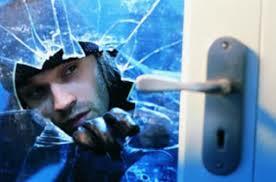 On Wednesday 1st January between 1.30pm and 11pm a property in Greys Hill, Henley was broken into. Offender(s) have forced entry to a window and stole items including laptop, iPad, and two mountain bikes. Between 23rd December and 1st January a property in Paradise Road, Henley was broken into. Offender(s) have forced entry to a window and stole a laptop and jewellery. 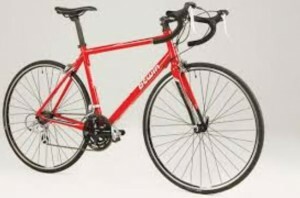 • Bike (similar to this photo – right) and is described as a red Triban 3 model road bike with a 63cm frame (larger than most bikes) with a drink holder to the vertical frame. On Saturday 4 January between 1pm and 8pm a property in Ancastle Green, Henley, was broken into. Offender(s) have gained entry via a dog flap and stole items including cash, TV and a laptop. A suspect has been arrested in relation to this offence and bailed pending further enquiries. Between 10pm on Saturday 4 and 8.15am on Sunday 5 January a property in Hop Gardens was broken into. Offender(s) have forced entry and stole a laptop. Residents of Henley are strongly advised to take advantage of a police sponsored discount on Smartwater marking kits after the recent spate of burglaries in Henley town . These kits ( which will mark up to 50 items and come with warning stickers which it is imperative are displayed prominently at the front and the back of your property) are available at a £10 one off cost for the month of January only. Despite promoting property marking heavily in the hotspot burglary areas only 2 households so far have bought a marking kit . You can reserve a kit by phoning 101 and asking for Paul Duncan at the front office at Henley police station. Alternatively if you would like a PCSO to deliver a kit and complete a review of your current security then please again phone Paul Duncan and he will arrange for an officer to contact you. If sufficient people in a road buy kits then the Community Safety partnership will donate metal street signs to the road to be displayed as a deterrent. This includes advice on house alarms which are strongly recommended .